India's capital, Delhi, is abundant in culture, colors, great food, amazing architecture and people. The Punjabi-dominated city easily overwhelms first-timers with its incredible chaos. Prepare yourself for the initial shock; you'll need some time to get used to this city. But once you've settled in a bit, the World Heritage Sites and amazing sightseeing spots will blow your mind. 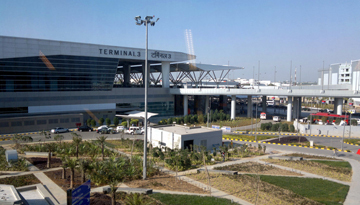 Direct flight tickets to Delhi from the UK take around 8 hours, however, if you are looking for that bargain airfare, cheapest flight tickets to Delhi are to be found with a change of plane on-route. Compare flight tickets to Delhi price and the stopover times, as often a long stop is not necessarily worth a small saving. This doesn't come as a surprise, as Delhi is one of the oldest cities in the world. It is said to have been founded over 5,000 years ago and built and destroyed an estimated 11 times. Both Hindu and Muslim rulers left their marks in the city's architecture and culture. In fact, the craftsmanship of the local Hindu population led to a unique Indo-Islamic architectural style, which is unparalleled in the world. However, Delhi is perfect for both, lovers of old architecture and modern city life. On the west bank of the Aravalli Hills, you will find congested Old Delhi, and on their east bank New Delhi with broad, tree-lined avenues and modern architecture. An absolute must-see in Delhi is the Red Fort, a red sandstone fort from 1648, the scale and architecture of which are truly impressive. Built by the builder of Taj Mahal, Mughal Emperor Shah Jahan, the compound consists of more than 9 different, equally stunning buildings and lush gardens. The UNESCO World Heritage Sites, Humayun's Tomb in South Delhi and the Qutub complex in Mehrauli should be on your bucket list as well. These are two more examples of exquisite Persian and Islamic architecture. 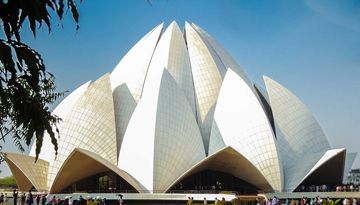 Delhi also has a myriad of museums, parks, and gardens that are worth a visit. Absolutely plan a walk at Connaught Place to get a taste of British architecture and have a look at some of the shops. You best get around Delhi by metro. It's a cheap, hassle-free and quick way to get around the city, and the first car of each train is reserved for women. If you're a bit more adventurous, there also exists an extensive bus network in the city. Please note that the maps aren't reliable. Therefore, it is best to ask your way around! For more flexibility, choose taxi or rickshaws and agree on a price in advance. Due to scorching summer heat and heavy Monsoon, the best time to book cheap flights Delhi is February to March and October to November. 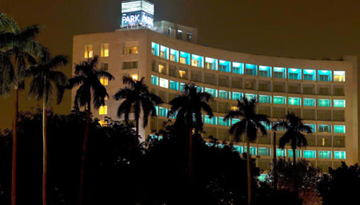 The Park New Delhi Hotel has comfortable rooms to stay at cheap rates with 4 star accommodation. Fly from London - Delhi & Stay for 6 nights with 5 star accommodation. Room Only.